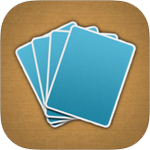 Memory Joggers » Memory & Math Apps to Keep the Brain Sharp! Summer is quickly approaching and kids need to be challenged. I love games that are not only fun but stimulate the brain! If you don’t have an iPad or iPhone, look for similar games for the computer. I especially like Rocket Math. 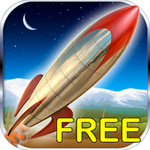 This app cleverly integrates learning math with rocket design. Perfect for the elementary student who needs to brush up on his/her math skills. It’s in the top ten apps for elementary school kids. 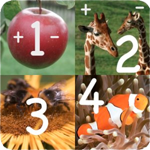 iLiveMath is a challenging word problem app that progresses through 3 levels. What I like the most about this app, is the blending of math with science, history, special events, geography and additional general knowledge. It not only reviews basic skills but addresses time, distance, speed, counting, geometry, money and fractions. This app teaches a child how to solve a word problem and connect to subjects found in the real world. 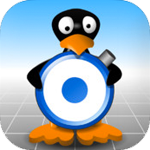 KickBox The MIND Research Institute created this app using a penguin who needs help crossing the edge of a blocked grid. Students need to open the path by properly placing laser beam reflectors on a gird. When a light beam hits the angle of a reflector panel, it can bend, and hit a target that will open the path for the penguin. KickBox requires procedural thinking and develops student ability to read points within a graph. Memory Matches This is my recommendation for not only kids, but parents and teachers, to keep the brain “fit”. This is like the card game “Concentration” but uses various symbols. Take a few minutes several times a day to try to improve your time. 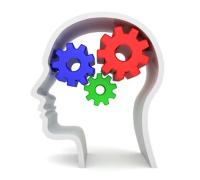 By stimulating your brain you will be staving off memory loss and having fun challenging yourself or family members. Let me know if you have other apps that you love and I’ll add them to this resource list.